SolarTurtle inventor James van der Walt. The SolarTurtle, converted from shipping containers, charges solar batteries that can be used on site or at home in low-income communities to power LED lights, charge phones or other electronic devices. The initiative aims to reach 100 rural villages by 2024, which would reach approximately 720,000 people and save 7,000 tonnes of CO2. Not only does it provide a source of power for these communities, each SolarTurtle is an entrepreneurship opportunity for franchisees who can sell the electricity and use the container to power a spaza shop, ICT lab, office or even a bank branch. 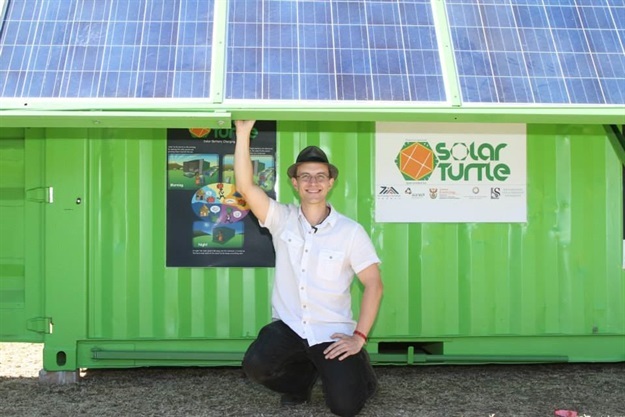 Van der Walt shared with us a bit about his journey so far becoming a social entrepreneur, and some of the success stories while working on the SolarTurtle. Briefly take us through your journey, from quitting your software engineering job in Ireland to the launch of the SolarTurtle. In 2009 I was in Ireland, living a quiet, comfortable life as a software engineer. It was around that time that the energy crisis and the world recession started. I kept being reminded of the curse: “May you live in interesting times”. One day we were going to the Aran Islands for a weekend trip and I was pondering the state of the world. It was while sitting on the ferry in the docks that I wondered exactly how much energy is stored in the ocean’s waves: it was carrying that 40-ton vessel with everyone on it. Then I had a spark of inspiration: Why can’t the world recession and the energy crisis be linked? Harvesting energy from renewable resources like the ocean, sun and wind is not that complex and it could produce work for thousands across the world. Not only will it create jobs, but it will also solve the energy crisis and alleviate climate change. A week before, I had watched a TED talk by the writer Elizabeth Gilbert. She made the point that so many people have creative ideas, but they don’t react when they get that spark. So I grabbed a pen and dotted down my basic premise. What if we can use the energy crisis as a way to fight poverty? I figured that instead of just handing out charity, the unemployed have to give something back in the form of labour by constructing and operating renewable energy devices. As long as the devices are simple and easy to construct and maintain, it should not be a problem. That’s how the basic idea was born. It took a long while to let go of my life as a software engineer, but I was given this inspiration for a reason. I firmly believed that renewable energy is the future, and if this future could be given to the poor, then I could make a tangible difference to the world. 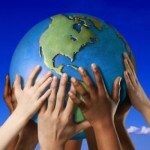 So I quit my job, sold my possessions and moved back to South Africa and registered the social business SolarTurtle SA. Then the long journey of a social entrepreneur started. Many business plans, many innovations… Each iteration taking us closer to working solution. The SolarTurtle has been recognised on a number of occasions since its development. To what would you ascribe its achievements thus far? Stubbornness, design-thinking and lean-development. Firstly, stubbornness. As an entrepreneur, you cannot give up when your first couple of ideas don’t work. This links closely with the second factor: design thinking methodology. You must be willing to make multiple concept iterations before it leads to something worthwhile. As a software engineer, I’ve worked with the agile development methods before and the idea is simple. You start with a vision: a utopia, a perfect world view. Then the iterations start. You throw yourself into the problem and try and understand it from the inside out. Based on your observations you pick a solution that could maybe work. You build it and test it. If it doesn’t work, you keep what worked and throw away the rest. You keep doing this over and over. Each iteration brings you closer to a workable business plan. At the same time business is all about momentum. You cannot throw everything you own at the first idea and think it will work. Afterwards you will be broke and will need to give up. This is where the lean development methodology is key. I always used existing research, free tools and networked with institutions that were looking at problems similar to mine. Of course, this means letting go of your ego. Accept help and share your idea with as many people as you can. Forget about people stealing your idea. You are the steward of the idea and not the owner. Good ideas will spread whether you want it to or not. I’ve never cared about IP and patents. I’m a firm believer in the open source movement. Just keep innovating, that will be your edge to the market. SolarTurtle recently won R10K at the Inventors Garage at the 2017 SABC Education SA Innovation Summit. How will this help further the initiative? SolarTurtle is busy with its latest fold-away solar container design. The new Turtle will fold-away its solar panels onto a shipping container with the press of a button. We call these Drop-n-Go-energy platforms. The funds go towards paying a mechanical engineering student to refine the concept into a complete mechanical design that a workshop can build from. Of course, the money is not why we joined the SA Innovation Summit. It’s about the people and the networks. Spread the love! Do you think anyone can be an entrepreneur or is it something you’re born to do? Oh no! Anyone can do it. Only you can give a voice to an idea. This will draw people and ideas to you. You don’t need to know how to do anything. You just need the tenacity to find the ones with the answers. Again, talk about your idea and keep pushing. A solution will present itself. Just remember, look up once in a while and see if you’re still on the road to your ultimate vision. Do you have any success stories to share from the SolarTurtle journey? The SolarTurtle journey has been bumpy but it has had its fair share of miracles as well. I think our best success story is the energy kiosk pilot we started in 2015 at a rural school in the Eastern Cape (Ngangolwandle SSS close to Coffee Bay). After completing my MEng at Stellenbosch University, I took my research to the Technology Innovation Agency, the South African National Energy Development Institute, the Department of Science and Technology, the Centre for Renewable and Sustainable Energy Studies, and they gave me the funding to pilot SA’s first energy kiosk in a fold-away solar container. The fact that I decided to use my Masters as a way to investigate the problems around rural electrification paid off as it allowed me to get industry experts to critique the work. If it wasn’t for the credibility that the university gave the work, I would not have received the funding. The latest success is our first commercial application of our solar container technology. We recently piloted a solar bank in a box for Nedbank. This is to become their solution for rural banking in places where there is now power. A bank branch you can drop anywhere or move it to a better position as needed, as long as there is sun. 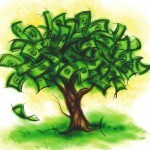 This feeds directly into our Robin Hood model: we sell to the rich and give the poor. What are some of the challenges you’ve faced as an entrepreneur and how have you overcome them? Rural entrepreneurs cannot afford the high cost of these solar containers. They cost between R250k and can go up to R750k. We had to come up with some intelligent business model to make this social enterprise work. This is where the Robin Hood model comes into play. 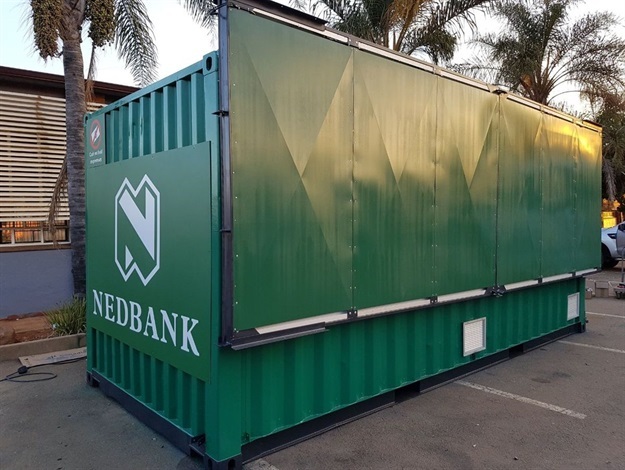 We can sell our solar container technology to high end customers that can afford the high cost of renewable energy, like Nedbank. We then use the income to finance future community projects: SolarTurtle energy spaza shop franchises. The community entrepreneur only pays for any electricity they use and they pay rent for the shop space inside the container. This allows us to maintain the infrastructure and also expand our operations. This is called the hybrid model for social enterprises. 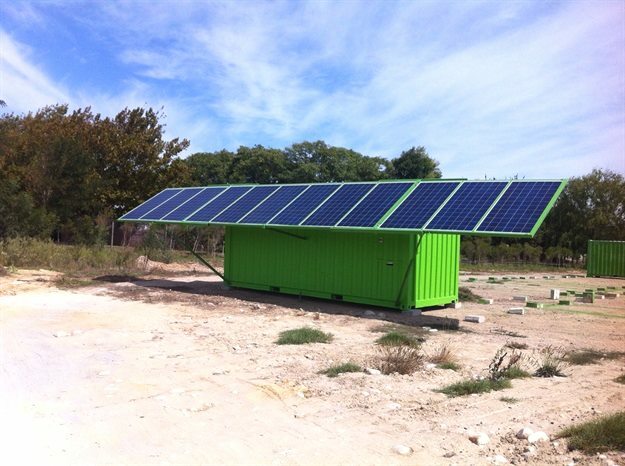 We have a (Pty) Ltd for-profit company that manages sales and leasing of SolarTurtle containers for profit. Next we have our NPO (SolarTurtle Foundation) that manages our energy kiosk franchises. As an entrepreneur, how can government create a more enabling environment for an entrepreneurial culture in SA? Reward entrepreneurship! There must be more events and awards like the SA Innovation Summit. The more you see a fuss around entrepreneurs, the more it will cause a trend in our South African culture. Secondly, entrepreneurship classes must start at school. The key here is to work independently to solve a real problem, even if it is just to run the school kiosk and add new products. The sooner you get used to going out on a limb, the better. It’s the fear of failure that sets us back. So we should fail more often and from an earlier stage. Of course, this means rethinking the education system where failure is seen as the end. What advice would you give to someone thinking of venturing into social entrepreneurship in SA? Why are you still thinking about it? Less talk, more DO! Start small and build up from there. The important part is the doing! As you start creating something, others can latch onto that and the potential grows. Again, focus on small manageable implementation integrations and use what is free. Finally, passion! This is like gold to an entrepreneur. Your excitement is infectious and will pull the right people to you.